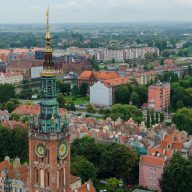 Gdańsk is the heart of Poland’s Tricity area and historically one of the most interesting and important places in the country. 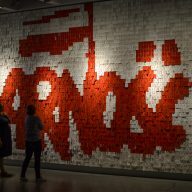 Since the middle ages, Gdańsk has been an important seaport and shipbuilding town and in the early 80s it became the birthplace of a modern and democratic Poland with the rise of Lech Wałęsa and his famous Solidarity movement. 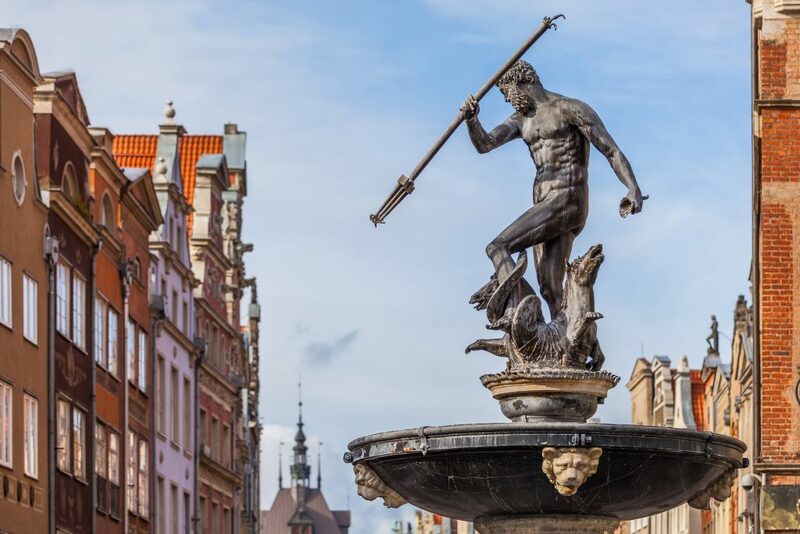 One of the highlights of any stay in the city is definitely a stroll through Gdańsk Old Town. 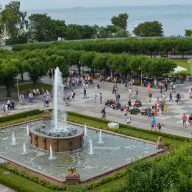 We put together a tour which will help you to see the most important attractions in a time-efficient way. When watching Jurassic Park as a kid, the most fascinating part for me weren’t the dinosaurs themselves. 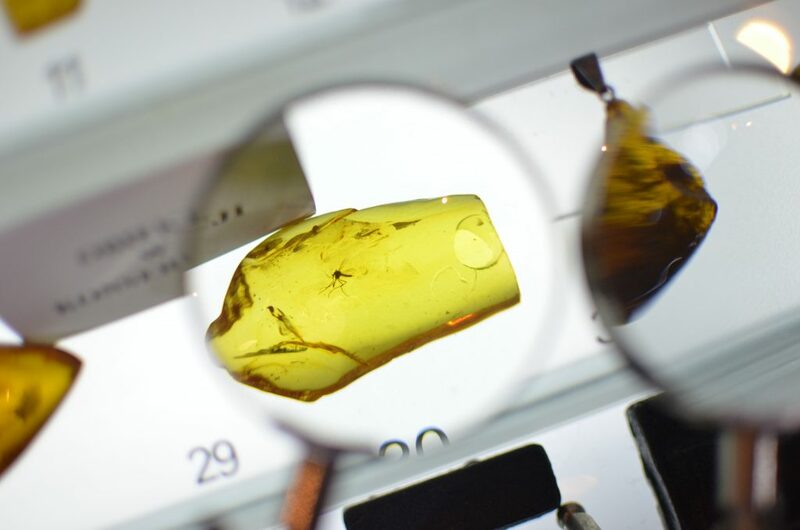 What I found more mind-boggling was that an insect can get trapped and then preserved for millions of years in the beautiful, gold coloured stone called amber. 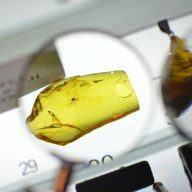 That’s why I was absolutely thrilled to visit the Gdańsk Amber Museum, finally see mosquitoes in amber and find out why the golden gemstone was so popular in Poland in the first place. The first floor has great amber exhibits with plant and insect inclusions. The main attraction is a cute, tiny lizard who was in the wrong place at the wrong time and got trapped in amber for everyone to ogle at. The other floors tell more about the history and processing of amber in Poland. The higher you get, the more contemporary the exhibits get. 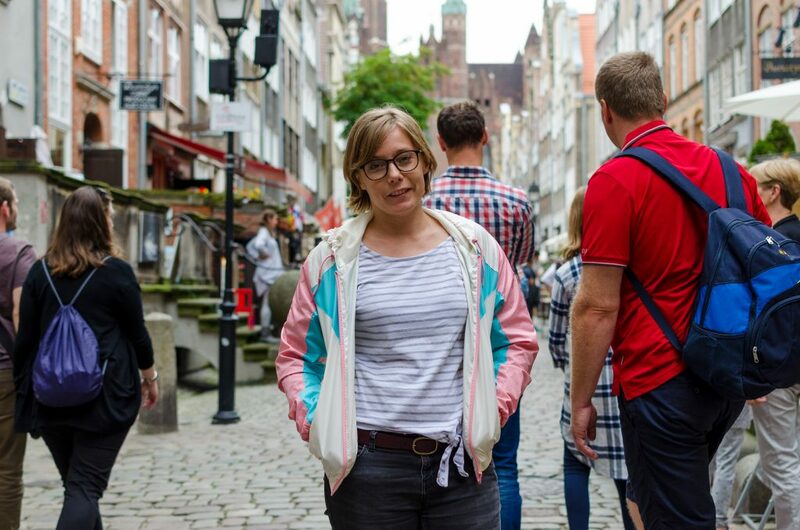 You just have to stumble out the door of the Amber Museum to walk into Długa Street, one of the most lively places in all of Gdańsk. Both sides of the street are filled with cute cafés and restaurants leading the way to Neptune’s Fountain and the Artus Court, the central pieces of the city’s main square Długi Targ. Walking through the streets, you might get the feeling that you are surrounded by century-old buildings but the reality is, that most of these buildings are reconstructions due to major destructions during World War Ⅱ. The atmosphere at Długi Targ is amazing. 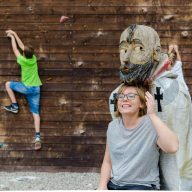 Just relax a bit, treat yourself to gofry, Poland’s most popular sweet snack, and watch the many street performers and musicians entertain the crowds before you continue your tour to the Gdańsk riverside. Located not far from the main square is the beautiful riverside promenade with its iconic port crane. Small restaurants and cafes are closely packed together and offer the perfect opportunity for a mid-day coffee. 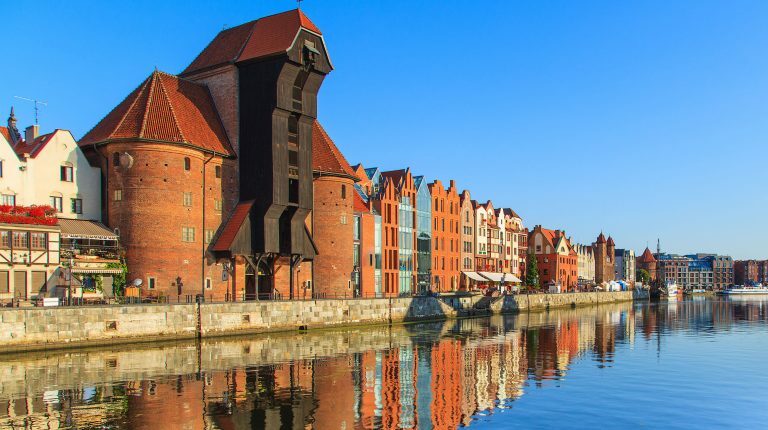 Take a walk over the bridge to the other side of the river to take great photos of the colourful buildings and while you’re there: Don’t miss out on a pint of the best beer in Gdańsk at Brovarnia. There’s also a small Ferris wheel set up on a river island, that offers great, romantic views of Gdańsk Old Town, especially at night. Mariacka Street is located close to the iconic port crane and easily the most beautiful street in Gdańsk Old Town. Entering the narrow alley through the gate at the riverside makes for a gorgeous reveal of St Mary’s Basilica over the roofs at the end of the street. The atmosphere at Mariacka Street is magical. The narrow design, cobblestoned street and unique architecture will make you feel as if you just travelled back in time. It shows how well the city was reconstructed after being almost completely destroyed during World War Ⅱ. If you take a closer look and examine the rooftops of the buildings at Mariacka Street, you will discover that every house has a unique animal statue attached to it. I might not be a huge fan of sightseeing in churches but I do love spectacular views. Thankfully, Bazylika Mariacka in the centre of Gdańsk Old Town offers both. 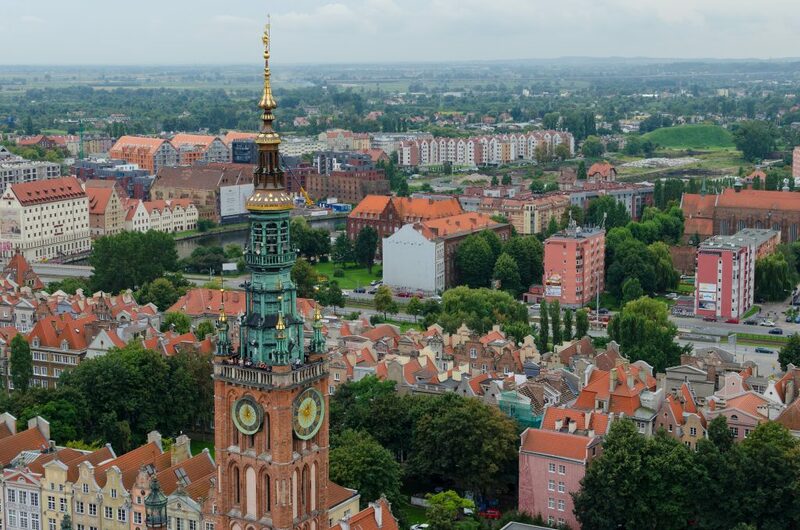 After climbing up roughly 200 stairs in a narrow spiral staircase and then another 200 in a more spacious environment, you are rewarded with the best panoramic view over Gdańsk, the city has to offer. Enjoy stunning views of the industrial port, Gdańsk Old Town, and don’t forget to take a breath of the refreshing air for your way back downstairs. You’ll need it! Even if you think you’ve seen it all, it’s definitely worth taking a look around the basilica on your way out. Otherwise you might just miss a beautifully crafted, astronomical clock that is hidden amongst all the religious paintings and sculptures. 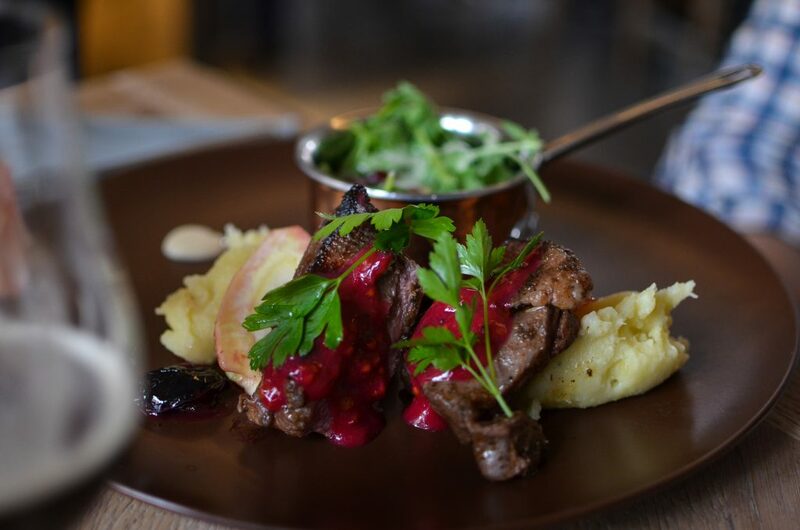 Finish off this exhausting day with a late lunch or dinner in Gdańsk Old Town. Just around the corner from St. Mary’s Basilica is Piwna Street, where you can find many great restaurants serving traditional as well as more modern Polish cuisine. The food at Piwna47 looks and tastes amazing! One of the best restaurants in Gdańsk is definitely Piwna47 opposite the main entrance of the basilica. The interior is very comfortable and the dishes look and taste amazing as you can see on the photo. 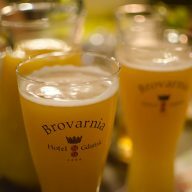 It’s the perfect place to conclude your long day in Gdańsk Old Town with a tasty dinner and a local draught beer.